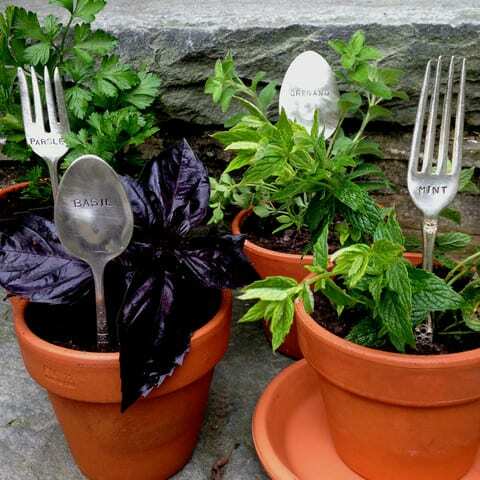 If you cook with herbs, there is nothing more environmentally friendly than growing your own. In Pittsburgh, we have a climate that is suited to growing five easy, common herbs. According to the Arbor Day Foundation, Pittsburgh is located in Zone 6 of the hardiness zones. To determine hardiness zones, the country is divided into eleven areas based on their lowest average temperatures. This designation can help gardeners determine which plants can grow in their particular zone. Luckily, many herbs will thrive during Pittsburgh’s spring and summer seasons. Most herbs can be planted directly in the garden or in containers, which can be moved inside during the winter. Basil is one of the easiest herbs to grow and will flourish throughout the summer or indoors. Seeds may be started indoors, or outdoors once the danger of frost has passed (mid-May in the Pittsburgh area). You can also plant established seedlings from a garden center. As it grows taller, pinch off the top of the plant to make it grow bushier and prevent the stem from becoming woody. Harvest basil by pinching off the leaves, typically around six weeks after planting. Basil can be used in many culinary dishes and is particularly well paired with tomatoes. Oregano is easy to grow and even does well in poor soil, growing back each year. Start oregano from seeds or by division. Cut stems back frequently to encourage growth. Harvest oregano by pinching off leaves as needed, or dry it for later use. Oregano is commonly used in Italian dishes, flavoring pizzas and tomato sauce. Thyme is a popular herb to grow because it grows easily, is perennial and spreads quickly. Plants can be grown from seed or from cuttings. Thyme does not need to be watered often and does not require fertilizer. Pick leaves as needed, or cut off the top four inches of the plant for drying. Use thyme to flavor meat dishes and soups, and in salads, stuffing, and other recipes. Mint is a perennial plant that spread quickly and will grow in sun or shade. Many people purchase established mint plants from garden centers, but it can also be grown from seed or cuttings. To harvest, pinch off leaves. Cut the sprigs frequently for better growth. Use leaves to flavor tea, drinks and other dishes. Sage can be grown from seeds or cuttings. It is perennial and can grow several feet tall with the tendency to spread quickly. Plant in full sun in a container or garden. For the best taste, pick leaves right before or during blooming. After the herb blooms, cut back the sprigs. Sage adds flavor to meat dishes like chicken and pork, and is often used as a flavoring in sausage.